Vermont real estate values were not immune to the economic recession of 2009, but sales continue to recover this year. 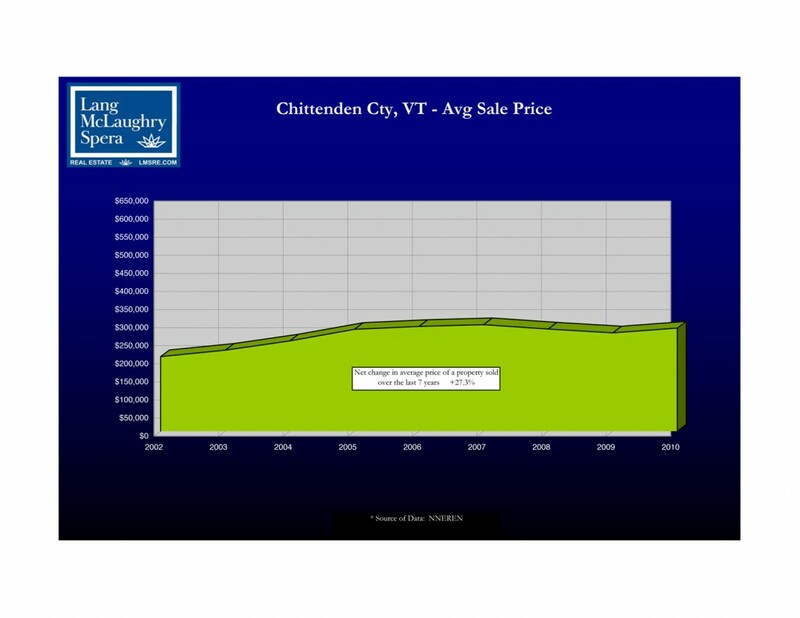 Despite a roller coaster of changes in consumer confidence and the national real estate market over the past seven years, property sale prices in Chittenden County had a net increase of 27.3% during that time period. Lake Champlain real estate turned out to be a safe investment, even through the financial crisis. In talking to my clients and colleagues, I have found that Vermont buyers and sellers are becoming more confident in the market day by day, and are really starting to negotiate and do business again. I am very excited about the 2011 real estate market. I look forward to meeting new buyers who are once again following their dreams of owning property in Vermont. Recently, I worked with a young family from Massachusetts. They had always had Vermont in the back of their minds as an ideal place to settle and eventually retire. What may have seemed like a far-off dream soon became a reality once they took action. After years of imagining, it only took four months and a few visits to decide to buy property now. A great choice of inventory, favorable interest rates, and some creative financing made the journey to closing a smart choice. With two kids just heading off to college, this couple has many years to enjoy their new property as a second home before retiring here. Why waste any time? There is so much of Vermont and Lake Champlain to explore and enjoy right now!